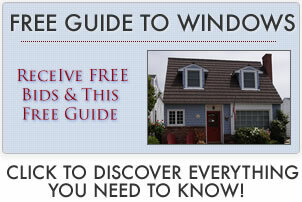 Storm windows prices will vary according to the manufacturer, window type, size and difficulty of the installation. There are many benefits to these replacement windows, especially in homes that experience severe weather and heavy storms. Basic storm windows will almost always be made from vinyl and will be available in small number of colors and options. The frame may be boxy but strong. They will usually be double pane glass but may not have all of the bells and whistles of higher end options. Standard storm windows may still be vinyl, but might be a composite frame or a cellular PVC, which is a high end vinyl. The glass will certainly be double paned, low-e, possibly with argon fills. High end storm windows will usually be made from a composite, fiberglass or cellular PVC. They will probably be available in a wider array of color and tint options. The glass will be double or triple paned, low-e, with krypton or argon fills with foam insulation. Expect to pay $75 to $200 for storm window installation. There is nothing particularly difficult (as compared to other window styles) about installing storm windows, however the installation has to be done correctly and securely to withstand heavy winter storms.